Sometimes performing a Wi-Fi site survey to check the performance of a wireless infrastructure is a complicated task. Performing a successful Wi-Fi site survey requires some knowledge not only on wireless networks, but also on the analysing process and the tool you are going to use. That’s why, from Acrylic WiFi, we want to help integrators, professional WiFi network analysts and administrators to structure and plan their Wi-Fi site survey project from the beginning: we have published Acrylic WiFi site survey manual. This guide will help you to better understand how to proceed with a Wi-Fi site survey and how to get the most of Acrylic WiFi Heatmaps. Acrylic WiFi site survey manual will guide you from defining the project structure in locations and scans, to analysing the data obtained while performing the site survey. 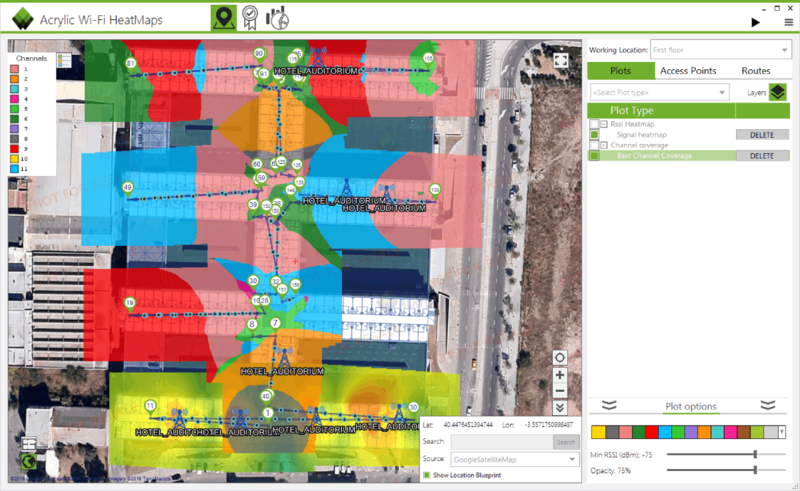 Discover in Acrylic WiFi site survey manual the difference between a passive and an active site survey and how to set them up in Acrylic WiFi Heatmaps; how to use the “Layers” tool to overlay multiple simultaneous plots or how to customize the different plots to better meet yours or your customers’ needs. In this guide you will also learn how to use the network performance analysis tool “Wi-Fi Quality” and how to create new profiles. This tool lets users set network requirements (such as coverage, latency, bandwidth levels, etc.) and, through the analysis of all collected data and based on those parameters, categorizes network performance and depicts a map where those parameters are met and where they are not. Download from here Acrylic WiFi site survey manual and learn how to organize your Wi-Fi site survey project to get all the information you need in a easily and simple way.